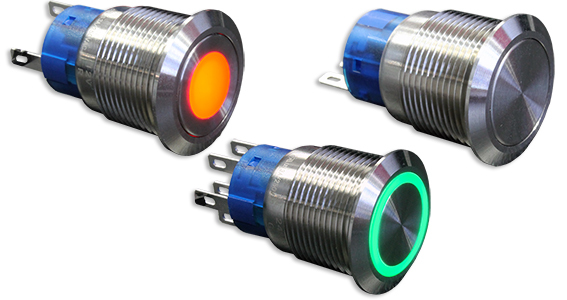 CIT Relay & Switch offers a broadline of IP65 anti-vandal switches. 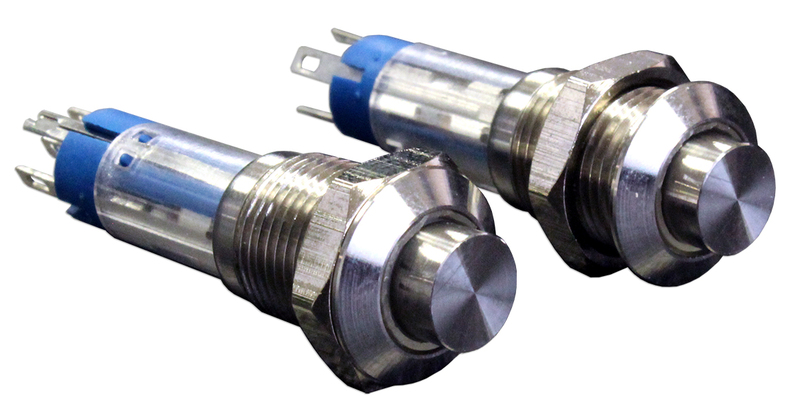 Also known as vandal-resistant or vandal-proof, our electromechanical switches are designed to withstand abuse from nature and/or attempts to damage them. 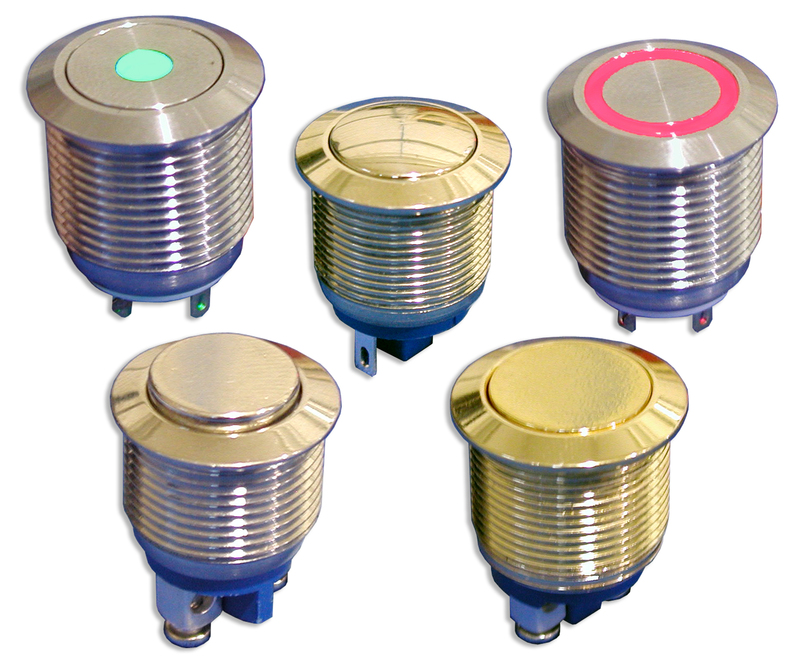 Often found in public settings such as parking kiosks, ticket dispensers and elevators, vandal proof switches are also used in industrial and testing equipment. 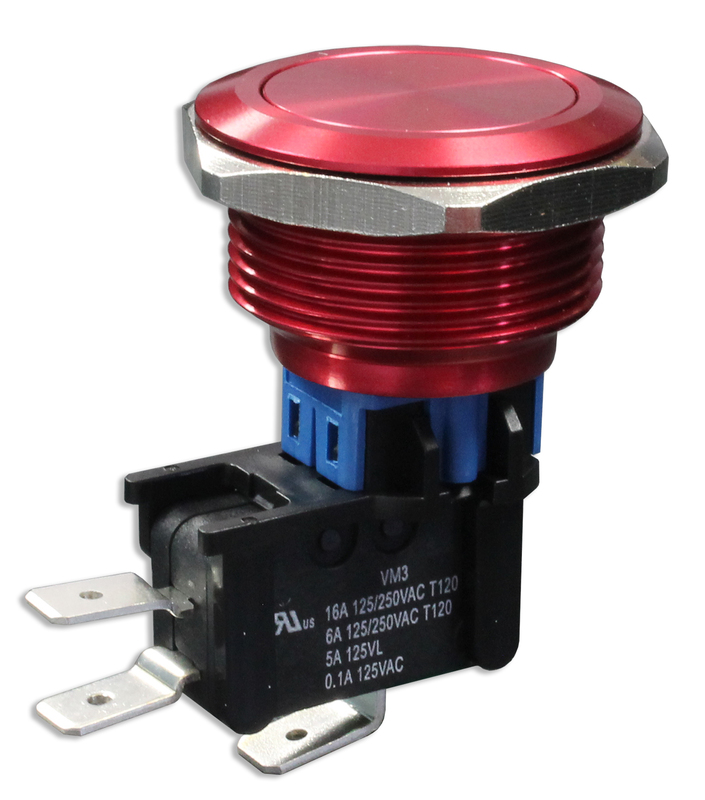 With sealing degree of IP65, CIT Relay & Switch Vandal-Resistant Switches are available in a variety of sizes from 12mm FH & GH Series up to the 40mm DH Series. Also available with UL approval in our AHU and DH22U Series, our IP65 switches offer both ring and dot illumination and non-illuminated options. 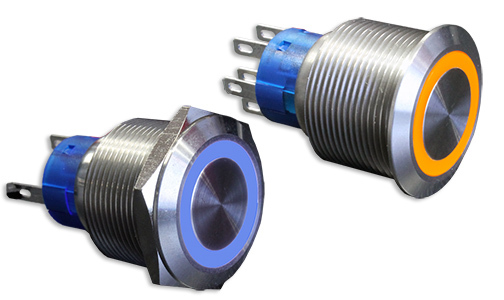 Choose the EH Series anti-vandal switch for a rounded convex actuator or the AH, BH, CH or DH Series for a flat actuator. 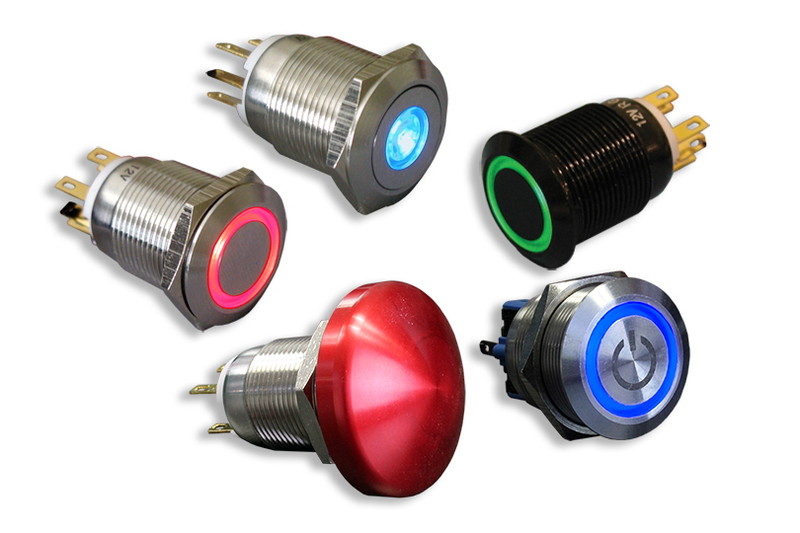 Choices of body and actuator color include stainless steel, nickel and anodized aluminum in black, red, yellow, green or blue. 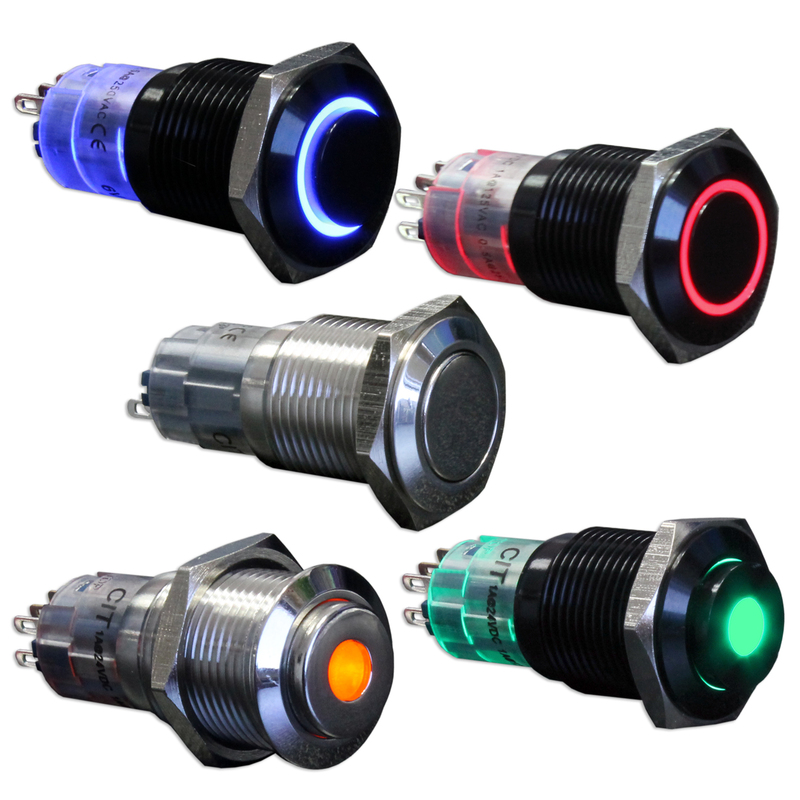 Our versatile vandal resistant switches provide design engineers with several LED color choices. 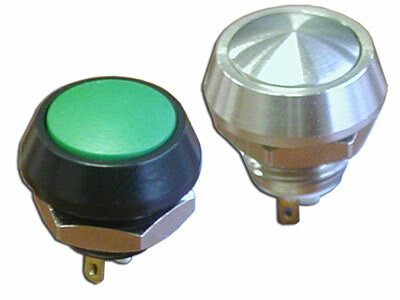 Bi-color choices make endless the combinations and applications for these popular anti-vandal push button switches. 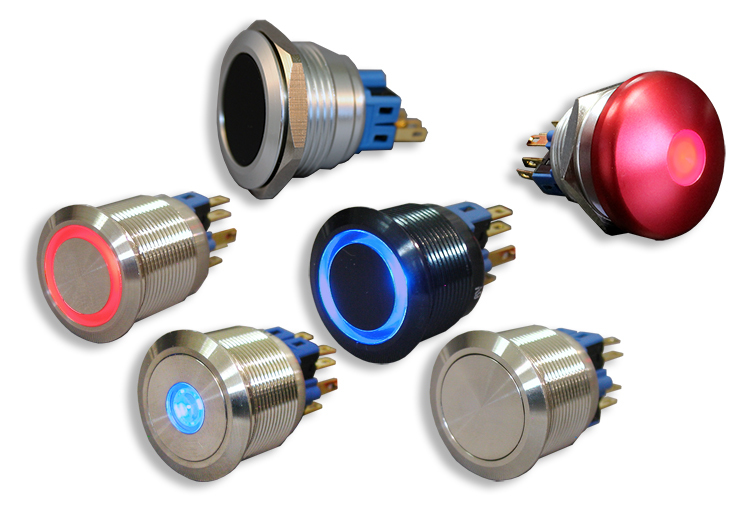 Wall plates and aluminum switch housings are now available with most series choices.